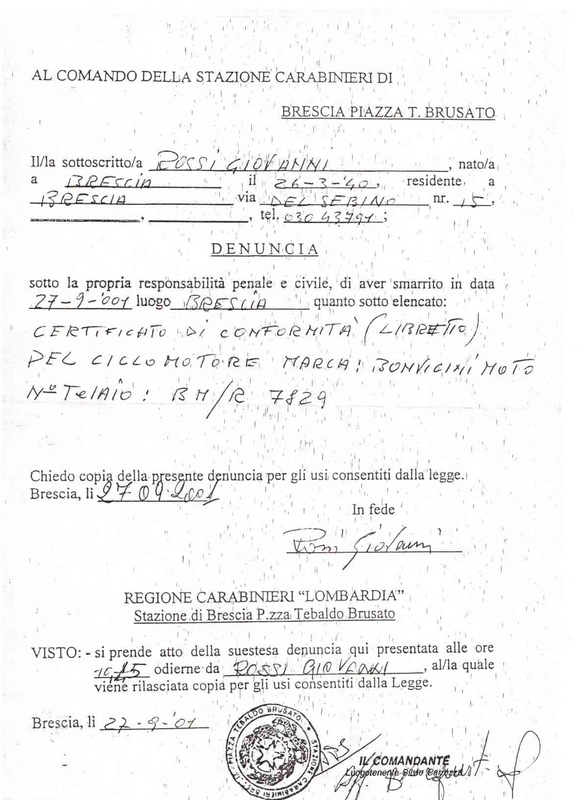 Prior to WWII, Mario Bonvicini had been a successful motorcycle racer. 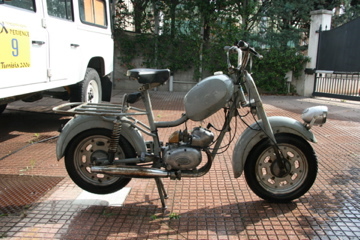 The motorcycles he produced after the war had engines from ILO and NSU, as well as some of his own design. 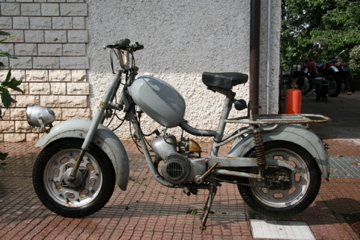 Production included 50cc and 175cc racing machines with frames by Verlicchi, and also a moped. Built in Bologna from 1950 until 1988, some of the factory output was marketed in Germany under the banner of Tornax. Minarelli engines are believed to have been fitted to some models.